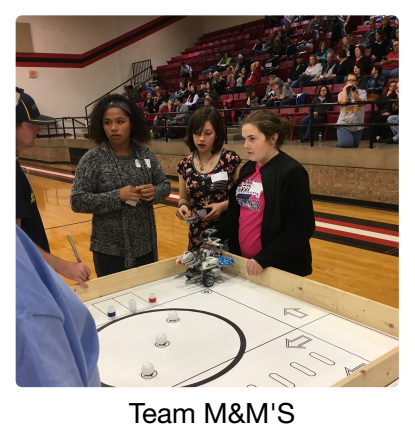 Winters Junior High and High School had 11 teams and 31 students compete in the TCEA Area round of Robotics on Saturday January 21, 2017. 94 Teams competed in the intermediate division and 47 teams competed in the advanced division from all schools in Region 15. Team M&M'S had a 5th place finish in the intermediate division and was comprised of Megan Tarr, Mara Mostad, and Sugar Hunter. The M&M'S were two time state qualifiers and hope to make it three in a row. The top two teams receive an automatic bid to the state tournament, and high scores are tabulated to receive wild card tournament bids. They hope to receive one of those. 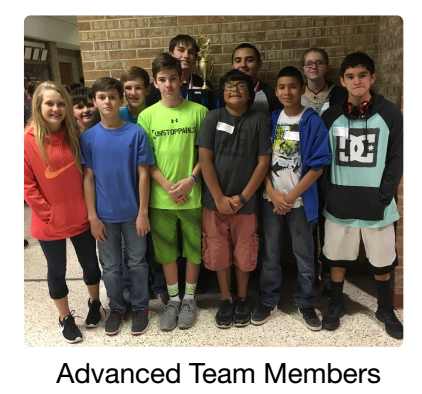 In the Advanced division Team Denominators was the surprise 2nd place overall winner. Team Denominators members were Patrick Reyes and Brandon L'Abbe. 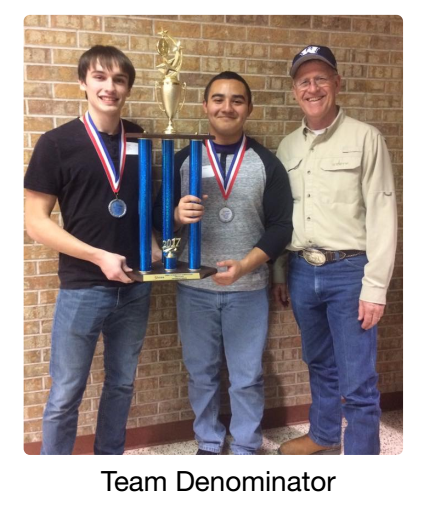 After a disappointing first round score, they had two strong rounds to put them in the drivers seat for the automatic state bid. Region 15 is a strong division and is well represented at the state tournament. Last years intermediate tournament winners had 4 teams in the top ten for the meet including M&M'S. The tournament will be in May somewhere in the central part of Texas. "Mandy Mostad and Robin Smith were chaperones for the group. We couldn't do this without their help," said Coach Monte Angel. " 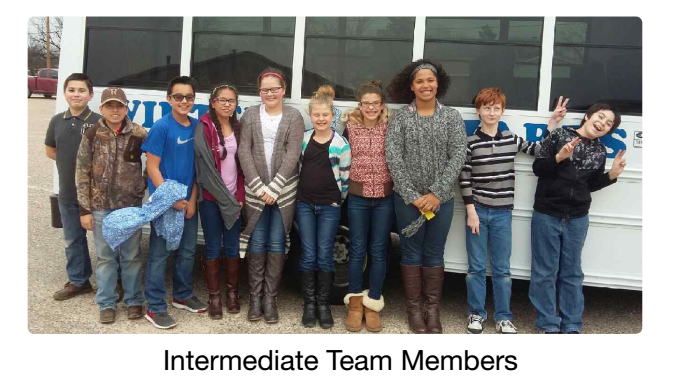 Our kids did a great job and represented Winters in a special way." Scores for the other teams should be available in the next few days.